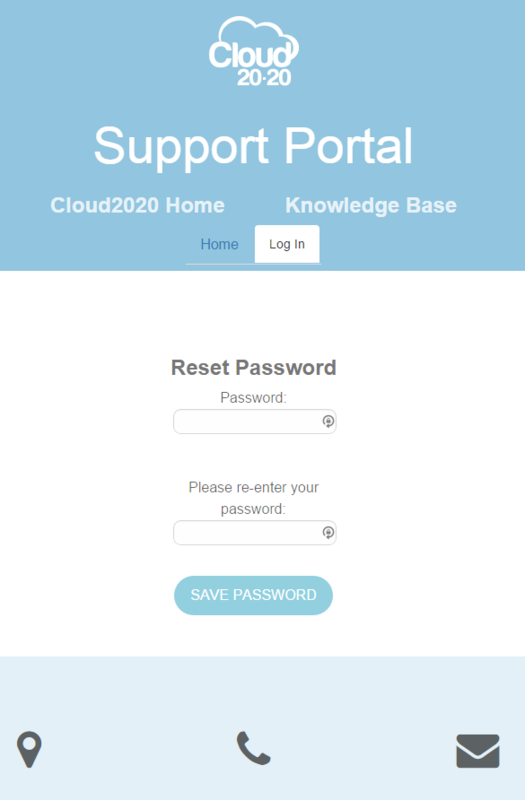 To use the Cloud2020 Support Portal you should have received the below email inviting you to set your password. You have been granted access to the Cloud2020 Support portal by the account team at Cloud2020. What’s more, you’ll have access to our tailored knowledge base that’ll point you in the right direction to help you and your team solve cases even quicker. Contact our Account Manager Lucy lucy.bourne@cloud2020.co.uk for more information. In the meantime, why not stay in touch by connecting with us on LinkedIn, Facebook and Twitter? Click the link or paste the URL into a browser and you will arrive at a page to create your password. Once you have successfully created a password you will be directed to the login screen.